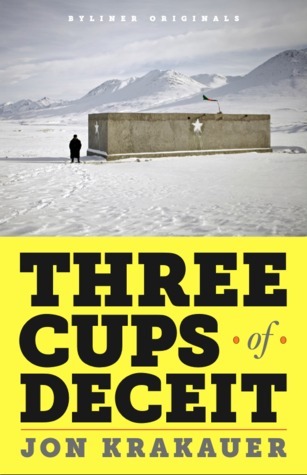 Over the past month, a furor has erupted over Jon Krakauer's scathing analysis of Greg Mortenson's best-selling book Three Cups of Tea. 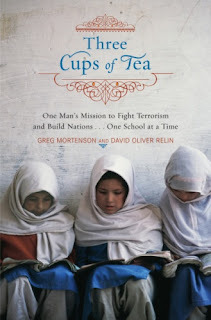 The book, and it's sequel Stones into Schools, highlighted Mr. Mortenson's failed climb to the summit of K2 and subsequent effort to build schools in Northern Pakistan. A 60 Minutes Special brought the criticism to a wider audience, and has led to a wider debate in the international development community (responses to the accusation can be found here). Krakauer's complaints emphasized two areas - the truthfulness of the book's narrative and the effectiveness of the money given to the Central Asia Institute, Mortensons' school-building NGO. While we cannot speak to the exaggerations apparent in the story, we must be conscious of the accusations made against Mortenson's work because, without caution, we could commit similar errors in our daily work. The Harvard Business Review wrote an excellent summary of the lessons development organizations should take from the conversation, advocating that others should (1) make sure your metrics reinforce your goals, and (2) [realize that] tools are necessary but not sufficient for behavior change. Metrics: What you track determines what you value. Mortenson tracked the number of schools he built, and so incentives were in place to make sure that kept happening, even though completed schools then lacked funding for teachers or supplies. In the same way, if we only track the number of students in our programs, we'll emphasize quantity over quality. Much of our impact is difficult to measure (healthy habits formed, teachers empowered with new methodologies), but we still need to reinforce our core values through the data we track. Tools: The emphasis in development is to give the poor new services - new schools, water filters, solar lights, or seeds. While this is needed, it doesn't address larger economic imbalances and historical patterns - that takes time and peer-to-peer advocacy. Mortenson wanted to introduce education with new buildings, what he needed was culturally relevant curriculums, better-trained educators, and systems to encourage female education in gender-biased areas. It seems evident that Mr. Mortenson committed serious errors in his management of funds and accountability for his organization, but the bigger picture should not be lost. The concept of sharing tea - again and again - with the recipients of international aid is one much needed in the industry. Development is untenable without the buy-in of local leaders, not just to initiate a project, but also to maintain and improve it over time. Development is complicated and development is slow. Mortenson presented an apparent fix to that conviction, promising rapid change to educational deficiencies in Pakistan, and it seems he under-delivered. What's needed, more than ever, is long-standing partnerships and committed aid workers who live where they work, speak the language, and understand the culture. What's needed is less breadth and more depth, and we need to continually remind ourselves of that lesson.